This is a photograph of four Northern Cheyenne men posed in a mixture of traditional and Western style dress. 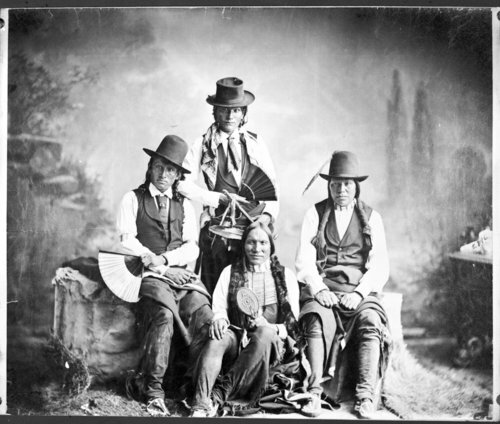 The men in the photograph are, Black Wolf (far left), High Wolf (far right), Eagle Feather (center standing), and Porcupine (center seated). Funds for digitization provided by Mr. Steve Peckel in memory of William Chalfant.